Strong, healthy brands don’t come from a one-time herculean effort, rather they are living breathing entities that build over time. You need to perform on-going strategic and tactical marketing activities to feed and strengthen your brand muscles. It’s a process I call Branding Strong. In fact, read more on how I think building a brand is a lot like exercising. Want to know if your company has some brand muscle? 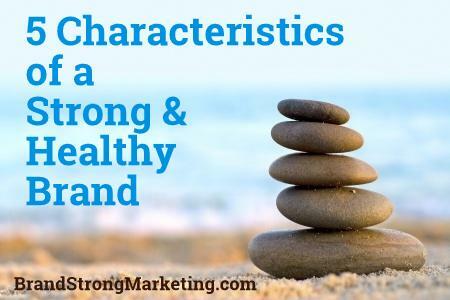 Here are 5 characteristics of a Strong, Healthy Brand. A strong brand makes it easy to make strategic decisions. You know where the company is headed and how the organization needs to behave to get there. You won’t be distracted by opportunities or initiatives that take you off the path to achieving your vision. Clarity. When you can clearly see what your brand is, you get the gift of clarity. You don’t stumble over your elevator speech. You can tell your prospect exactly why they should work for you. You know who your ideal client is so you don’t waste time or resources chasing bad fits. Your marketing messages will be so much easier to write. Your employees will all say the same thing, deliver on the promise, and march towards the same goals. Credibility. Brands are not invented from scratch. They are a combination of what you say, what you do and what your company aspires to deliver. It’s not made up from air or from wishes. 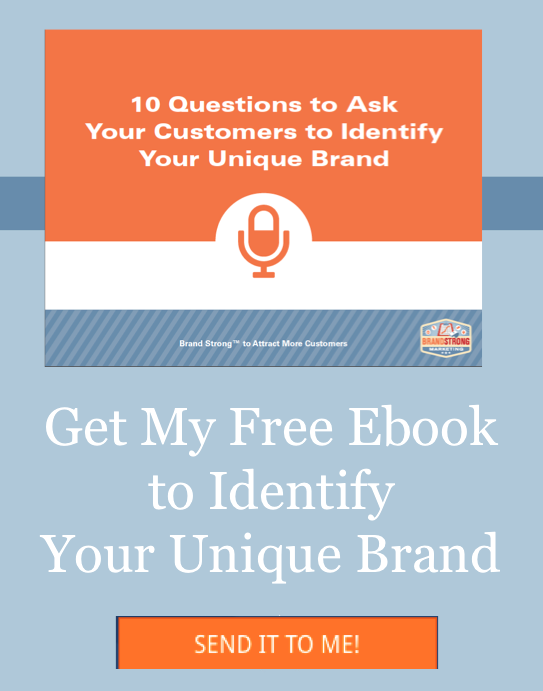 You recognize yourself in it and so do your customers. Even if your company is just you, the brand is still based on your personality, your values. There is credibility that you can deliver what you promise. Deliver the brand promise, every single time. The experience that a person has had better match up to what you said. That consistency makes your brand credible. If you can’t describe what you do, for whom, and why you do it better than anyone else then you need to start from the beginning. Build the foundation, make it strong, or you will have to weakly limp towards your goals. 3. Flexibility. Customers change. Industries change. Markets shift. Strong brands are flexible enough to see change coming and make adjustments that let them grow and potentially reposition themselves to always remain relevant and provide value. Brands that don’t adapt won’t grow. Let’s go back to the exercising metaphor. If you do the same exercises or activities every day for years, eventually your body stops adapting. You need to challenge your body in different ways for it to keep fit and performing at its peak. When you stop seeing results, you need to shake it up. What you do for your customers may change but why you do it, the core underlying promise you make to your customers, is the same. The most flexible brands extend out from that strong core by adding new products, services, acquiring another company and yet it still FITS. Strong brands only stretch as far as is credible. For example, did you know that Nintendo started back in 1889 as a playing card company? It’s now one of the world’s largest gaming companies. It foresaw that gaming was going electronic so the product changed, but the core brand value of playing games has stayed true. 4. Attraction. A strong, healthy brand is attractive to the right audience. It works. It moves your bottom line. It helps customers find you. It gets them to give you a shot. It gets them to come back for more. A strong brand is very relevant to its target audience. In certain cases, it even forgives mistakes. Your customers have had so many good experiences and consistent experience that when you do misstep, you are forgiven because they know it was just a fluke. 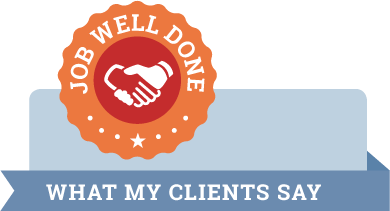 A strong brand attracts clients, engages them, and builds strong relationships. 5. Energy. A strong brand with all of the characteristics above energizes you and your employees. Everyone working towards the same goal, saying the same thing about the company and feeling proud of the work they do gives off energy. When business owners clearly understand their brand and the value that provides their customers, it gives them a sense of supreme confidence. I call it Brand Swagger. You can walk into a networking meeting or sales presentation and talk passionately about your business and why it is unique. You are proud of your business and feel good about your direction. This confidence attracts customers and employees so the business can keep growing. Your company brand might not display all of these characteristics or it might be stronger with some characteristics than others, but that is OK. It gives you something to work towards. Where do you think your company’s brand is strongest?